Health isn’t limited to what we eat or physically do; health encompasses the broader mechanics of our daily lives. For instance, hygiene doesn’t first spring to mind when we think of our health, and yet our body and oral hygiene is vital for our well-being. 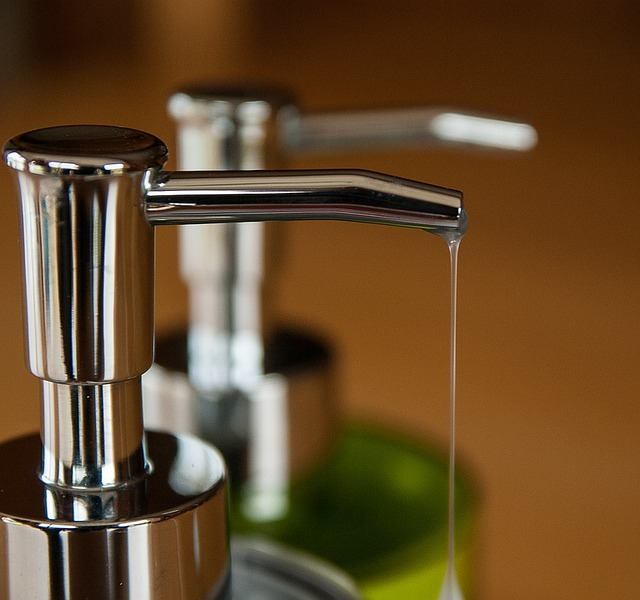 Bacteria builds and breeds very quickly, toxins and parabens can swiftly enter our bloodstream through the use of chemically based products that we use to clean our bodies, homes, offices, dinnerware, and laundry with. In essence, we need to stretch out our thinking in terms of our health and realize that it is the smaller pieces of the puzzle that create the complete picture. It’s never too late to make changes if you are generally health aware, consider how you can enhance this and encourage even better health. If you know that changes are needed- start now with all the small stuff! Here are some of nature’s miracles that you can introduce for improved health and well-being. Parabens have had links to tumors and cancers and are increasingly gaining popularity for being harmful to health. Parabens are preservatives that are commonly used in the everyday products and cosmetics we may use on our skin and hair. The important thing to note is that there are alternatives on the market, and there are more and more labels that we see on these types of products that clearly state “paraben free”…perhaps this is largely due to an increased demand for healthier options as we all become more mindful of our health. Alongside parabens, Sodium Laureth Sulfate is one to try and avoid…even if you love your bubbles and suds in the bath, also known as SLES, it is a very inexpensive yet effective foaming agent- a surfactant that can be toxic and cause skin irritations. Take notice of the ingredients before you buy, and aim to move toward a cleaner way of cleansing! Just as we can go back to basics on our nutritional habits by eating more fruit and vegetables in their rawest form, we can strip back our personal care routines for better health also. Nature’s miracles such as essential oils, aloe vera, and virgin coconut oil are multi-use and very effective anti-bacterial, anti-viral, anti-inflammatory and anti-fungal ingredients for personal care and hygiene. We can step back from all the harmful thickening agents, artificial colors and preservatives and toxins by simply realizing that nature has her own gems to share with us. Try switching one or two products at a time and notice the small changes in how you feel and look. Many personal, care and hygiene products can easily be made at home, if you lack the time to do this, shop around for cleaning and hygiene products that match the lifestyle you wish to create. Miracle II believes in helping you to achieve better health, as the only soap products manufactured from a trade-secret, proprietary plant-derived mineral mix, MIRACLE II soap products contain no animal products and no harmful chemicals, and are sold throughout the United States and in 26 countries worldwide. Since 1982, Kirk and Sue Tedeton, owners of Miracle II, L.L.C., have manufactured and distributed the MIRACLE II brand natural soap products. The Tedetons have been "hands-on" in every aspect of the company, managing and operating their business daily, as it has grown from a small company with zero sales and no employees, into an internationally known company with over 20 employees. These markets were established strictly through word-of-mouth, with no company website, no television or radio ads, and no printed company advertising. Today, with more than 2,900 company-direct distributors, Miracle II products are promoted and sold by thousands of distributors using television, radio, conference calls, and printed media and on websites numbering in the tens of thousands. With proven talent and vision for meeting consumer demand for wholesome, natural products to enhance their day-to-day quality of life, the Tedetons continue to guide their multi-million, international company within the global economy. Their past business experience, active distributor base, and loyal customers provide a solid basis for Miracle II, L.L.C. 's continued growth. Here is more on Miracle II products and how they can help you! “Miracle II soap products are available from thousands of distributors worldwide. You may search/google “Miracle II Products” for a distributor online. If you need help locating a Miracle II distributor near you, or if you need information on becoming a Miracle II distributor, you may contact our office during regular office hours” said Miracle II. Miracle II Soap is ideal for people with normal to oily skin and there are three soaps available: Normal, moisturizing, and low suds soap. Miracle II natural green soap and hygiene products below can save you money, time and effort on your daily household, auto, and hygiene cleaning routines. Your purchase helps protects our environment because Miracle II Soap products are biodegradable and environmentally friendly. This natural alkaline green soap provides you an industrial strength, multi-purpose gentle soap that can replace your bathing, laundry, and household soap requirements without harsh surfactants or preservatives. Miracle II Neutralizer Gel: A smooth, creamy white lotion made for those that have dry skin or people in general that use a moisturizer. You can apply it to minor cuts, rashes, skin irritations and wounds to keep the affected area clean. Available in 8oz, 22oz or Gallon size. Can be used after washing with Miracle II Soap. Formulated for those areas where you would like to maintain a high level of neutralizer over an extended period of time; or, something compact and portable. It is an incredible hygiene product used externally or even for cleaning your teeth. This is a mild, colorless and tasteless “sudless” soapy gel. It dries quickly and is non-sticky. 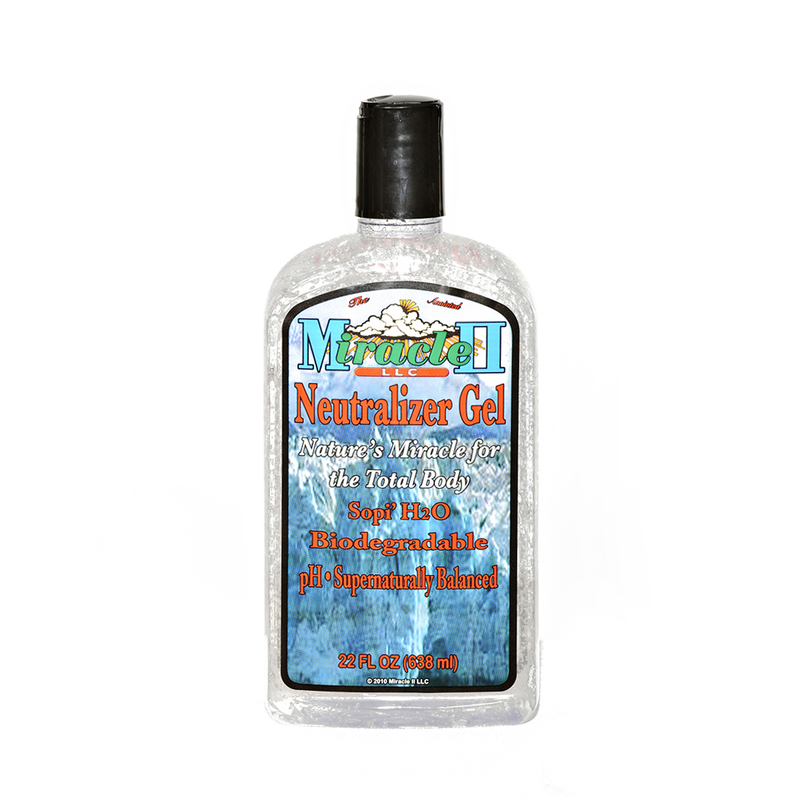 Compare this gel with aloe-vera, you will be astounded! Also, bottled for Miracle II LLC is a High Alkaline unique Sports Water. X-TREME PH™ SPORTS WATER is the only high alkaline water that achieves its high alkalinity enhanced with the Miracle II plant-derived mixture of calcium, magnesium, and potassium, which is injected into its source water at very low levels for a TDS of less than 25 ppm per bottle! Nothing else is added to X-TREME PH™ SPORTS WATER - NO dyes, sugars, caffeine, sweeteners, or artificial flavors. The result is truly high alkaline bottled water with great taste! Over a 36 year period, thousands of people are using Miracle II to solve their problems and rejoice! We have manufactured the finest, natural soap products in the world, and dealt with the everyday challenges we all face in owning and operating a business, such as economic changes, rising costs of goods and services, government regulation, and increased taxes and fees, to name a few. Through it all, we have been blessed with the privilege of knowing that our products have helped untold thousands enjoy better health and a higher quality of life and that more people are finding and using our products, thanks to the dedication and hard work of you, our loyal distributors and customers!